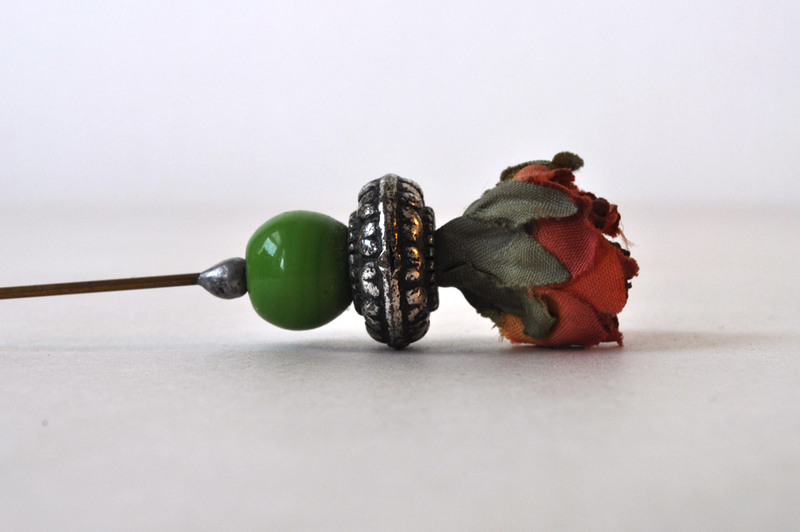 Vintage Hat Pin. Purchased at garage sale by Mr. OP for moi. I am sentimentally attached to this object, but confess I have never worn it. 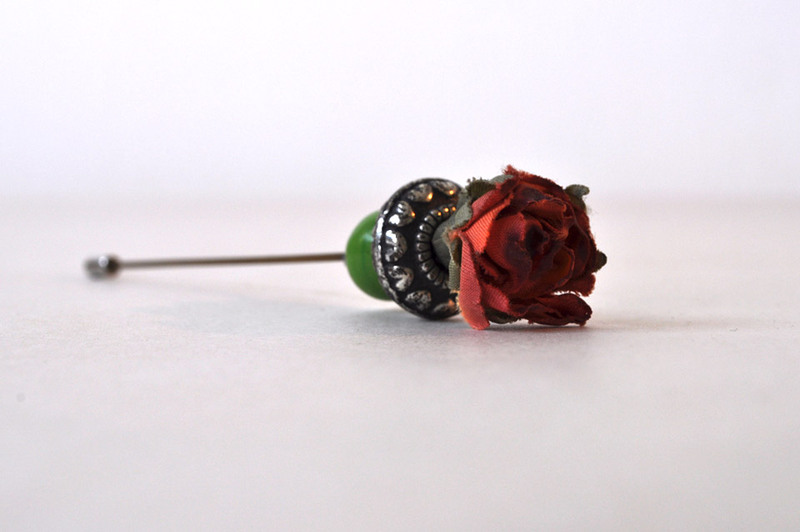 The American Hat Pin Society has A Brief History of Hatpins. Status: Purchase hat to match and wear.